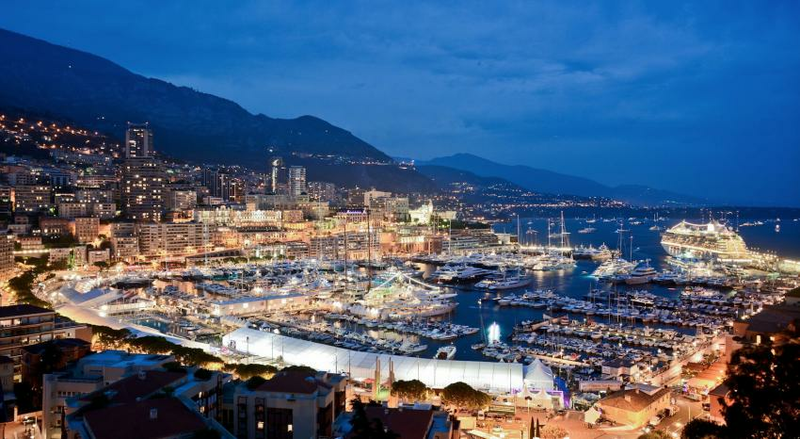 Luxury & Services always looks forward to the Monaco Yacht Show each September because it adds a whole new level of atmosphere and appeal to the South of France for four glorious days. This year the MYS is taking place from 28th September to 1st October and 125 custom-made superyachts will be thrilling the crowds. These are not standard yachts, but the ultimate in luxury and some will be almost 100 metres long. Monaco provides a fitting backdrop for such a show of luxury and performance. Rent a supercar before the 15th September and receive 10% reduction. This year, the Monaco Yacht Show is inaugurating a brand new exhibition space dedicated exclusively to luxury automobiles. The ‘Car Deck’ will occupy Quai Rainier III in Port Hercule alongside the largest yachts in the show, displaying prestige cars available for test drives and purchasing. Visitors and exhibitors can access a 230m² indoor bar-lounge as well as the outdoor display. Big name participants include Lamborghini, Rolls-Royce, Mercedes and Tesla. Luxury & Serice is offering a 10% discount on all supercar rental for the Monaco Yacht Show 2016 agreed before the 15th September. Tesla is a young brand making waves with its sporty electric cars. They will present the Model S P90D with its improved power and performance exclusively for the Monaco Yacht Show. It’s not as visually show-stopping as its competitors but the environmentally-friendly brand has incredible engineering that propels it from 0-60mph in a record breaking 2.8 seconds. The Rolls-Royce Dawn was unveiled earlier this year and has proved an immediate hit with younger, more sociable drivers who use it traverse the Riviera’s coastal roads and get from high-profile events to upmarket destinations. With a powerful 6.6 litre V12 twin turbo engine and top speeds of 155mph, this glamorous convertible will be a popular rental and purchase choice in 2017. There has never been a better time to rent a supercar and arrive in style. Monaco is the epitome of effortless glamour and gateway to the wonderful Cote d’Azur. Luxury & Services goes to great lengths to remain completely up to date with our prestige vehicles and our fleet reflects those found at Monaco Yacht Show, both on display at the exhibition and on display on the Principality’s beautiful streets. For example, the Lamborghini Huracan Spyder is set to wow young crowds of jet setters at the MYS with the Italian brand’s instantly recognisable trademark curves combined with a drophead design. The Huracan Spyder has a go-getting V10 5.2-liter engine that produces an enormous 610 horsepower and a staggering top speed of 201 mph - enough to turn heads at any event. Arriving at the MYS in one of the cars that has pride of place in the exhibition is bound to turn heads. Key players in the yachting industry will be networking and attending conferences, social events and cocktail parties, so it pays to make a good impression. When trying to decide which supercar would befit your stay in Monaco, you can be happy in the knowledge that Luxury & Services has a wide range of cars to suit every taste and purpose. Each supercar offers something unique and luxurious; making the choice is the hard part. We aim to provide the car you request, along with your preferred interior and exterior colour and the year of the model you desire. Pick up your vehicle wherever you wish: at the foot of a private plane or at the entrance of a villa – we’ll be waiting to provide you with our unique brand of professionalism. Contact Luxury & Services in plenty of time to reserve your luxury supercar rental for the Monaco Yacht Show 2016.